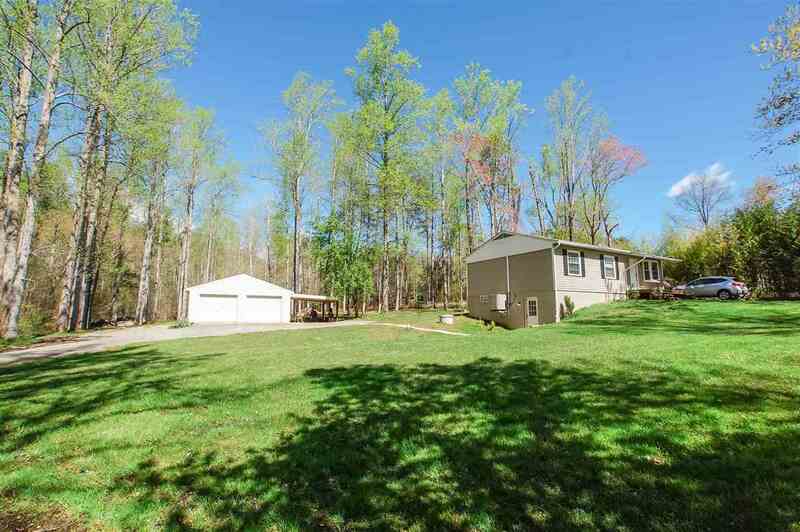 Awesome location in Albemarle County! 12 minutes to Downtown, 6 mins to Wegmans and other shops at 5th St Station. Renovated, all 1 level living with partially finished basement. Main level has open floor plan with eat-it kitchen, plenty of counter and cabinet space, island doubles as a breakfast bar and dining area just off kitchen and living room. Basement offers finished full bathroom and mudroom with large sink and plenty of storage for coats etc...(Also, very convenient to garage!). Private, large yard has plenty of great garden space. Good road frontage. Directions: From I-64 take 5th St. Exit, head south on Old Lynchburg Rd. To property on the right. Please, send me more information on this property: MLS# 589016 – $235,000 – 1696 Old Lynchburg Rd, Charlottesville, VA 22903.